As soon as they’re old enough to put pen to paper — or finger to iPad — kids are perfectly capable of writing hilarious messages on any number of subjects (you’ll find a selection of our all-time favorites below). But for an 11-month-old, a personality survey is a pretty tall order. 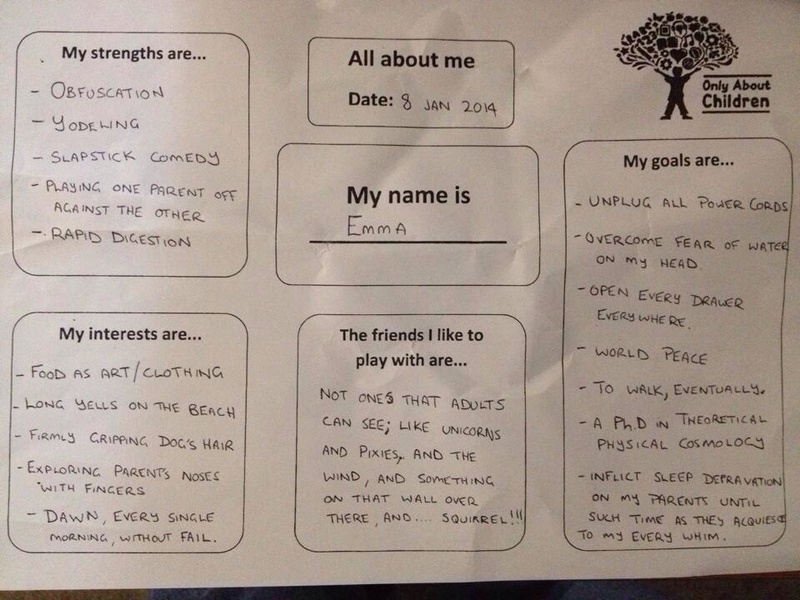 So when one dad was faced with the task of filling in a questionnaire sent home by his daughter’s daycare, he did something any parent with a wicked sense of humor will appreciate: he was totally honest (well, mostly — that PhD’s a lofty goal for an under-1). And his answers were funny enough to please even the daycareemployees in the online audience. “When daycare, completely seriously, asks my friend to answer stupid questions on behalf of his 11 month old daughter, it is inevitable that stupid answers is what they’ll receive,” the friend who posted the finished product to Reddit wrote — also pointing out that “sleep depravation,” while a spelling mistake, might actually not be quite so far from the truth.